Invoice Template v Invoice Software for small businesses? 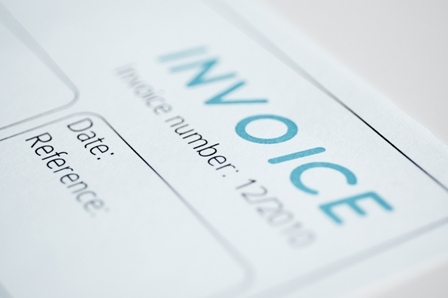 One of the first things many new businesses need to learn to do is how to issue an invoice. If you are selling to other businesses, doing building work or anything other than fairly straightforward retail sales you will need to give your customers an invoice before you get paid. It is also a good idea to tell your customers how to pay you (including bank details) and when you expect to be paid by. If you VAT registered then you will need to issue a VAT invoice which includes some extra information such as the VAT rate being charged, your VAT number and the taxable date. Traditionally many small businesses would have an invoice book full of pre-printed invoice templates which they could fill out. These would have the company details and invoice number already on them so all you needed to add was who the invoice was to, what was being sold and for how much. While this might still be appropriate if you are issuing invoices on the spot most people now prefer to create an invoice on their computer and print or email it as this looks a lot more professional. A fairly cheap way to generate invoices is by using a Word template. The video below shows the process for creating an invoice on the cloud based bookkeeping software that we provide to our clients. If you are only going to be issuing 1 or 2 invoices a month for relatively small amounts then it may not be worth getting specialist bookkeeping software. However as the software is available from between £5 and £10 per month you do not have to be doing very many transactions for it to start paying for itself. This is especially true if it is going to save you the hassle of working out how to set-up your invoices in the first place.